Ukrainian legislation clearly reglementary the procedure of donation of real estate. The act of giving must be in writing and certified by a notary. The procedure of donation prescribed in the Civil code of Ukraine. 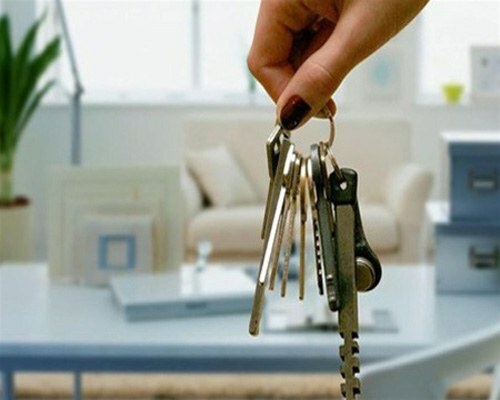 - authorization for donation of apartments of guardianship (if it is home to minor children). In order to convey the apartment into a gift, gather the required documents and submit the notary deed to the apartment. According to the Civil code deed of gift can be a real and konsesualny. In the first case the transfer of the flat to a gift made after registration of the contract, in the second, delayed in time to the occurrence of certain conditions specified in the contract of donation. For example, a couple who are going to move, I decided to give the apartment to relatives, but the moment of transfer of flat in a gift will come, not from the moment of registration of the contract of donation, and after exit from, the people living there. How exactly to execute the contract of donation is up to you. Since the gift agreement is a bilateral act, on its Commission first get the consent of the person whom you are going to give your apartment. If you have a husband or wife, for the donation of apartments will receive the approval of its second half as co-owner (person) apartment. If the apartment that you are going to give a live minor children, then the act of giving will receive a permission of bodies of guardianship because their parents or guardians are unable to give the property to their children without their consent. Permission of the guardianship is necessary and in that case, if the deed make for the child. After registration of the contract of donation gifted must register their right of ownership in Bureau of technical inventory. To do this within two weeks he needs to go to BTI, and on the basis of the contract of donation to re-register the property in your name. Upon receipt of the apartment in Dar for the receiver party is obliged to pay income tax.. the first line of heirs – children, spouse and parents exempt from paying taxes for donated apartment, regardless of its value. Other relatives pay 5% of the value of the donated apartment. If the apartment is presented to a stranger, he pays to the state Treasury 15% of its value. When you receive the gift of the apartment for late payment of the tax shall be collected a penalty, which grows with the growth of delay.